Jason Hartman talks with loan manager, stock trader and financial columnist, Logan Mohtashami with a no-spin discussion on the fiscal cliff and other current events. 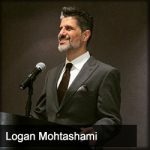 Logan Mohtashami is a senior loan officer at his family owned mortgage company AMC Lending Group, which has been providing mortgage services for California residents since 1988. Logan is also a financial columnist for Benzinga.com and contributor for BusinessInsider.com and writes on financial matter relating to the housing market and basic economics.